· Ice Wizards are typically Strong, Loyal, Courageous and Honest. Famous Thaumaturges include Winston Churchhill, Sana Claus, and Glenda. Ice Wizards can take a lot of damage, but are somewhat weaker when attacking. Ice Magic is all about persistence, slow but steady progression and advancement, like the great glaciers forever sliding across the landscape.  Those who embrace the power of Ice, known as Thaumaturges, exhibit great patience and strength, but as a result they sometimes become rigid and inflexible. Thaumaturges use Chants to bargain or plead with Ice creatures to serve them. Ice Magic has its origins in the great Ice Giants, a race of Titans that built massive castles in the sky in the Days Before. The Ice School will train its student wizards to take high amounts of damage and survive. 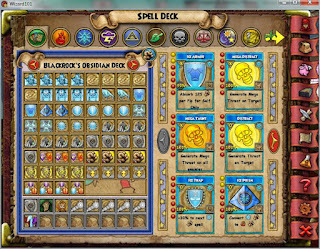 Ice Wizards have the highest natural health points and defenses which enable them to take large amounts of damage without dying. It is very hard to defeat them. A lot of their functional spells have to do with increasing their defenses and absorbing damage. They also have the ability to taunt enemies, which forces the enemy to focus attacks on them. This can come in handy when playing in a group. Now some background on Professor Lydia Greyrose. These boots give a ton of good stuff. Besides a Dryad and Sprite card, it gives 24% outgoing healing and 12 attack. Plus an extra 140 health. You can get this from the Wyvern's Hoard pack. 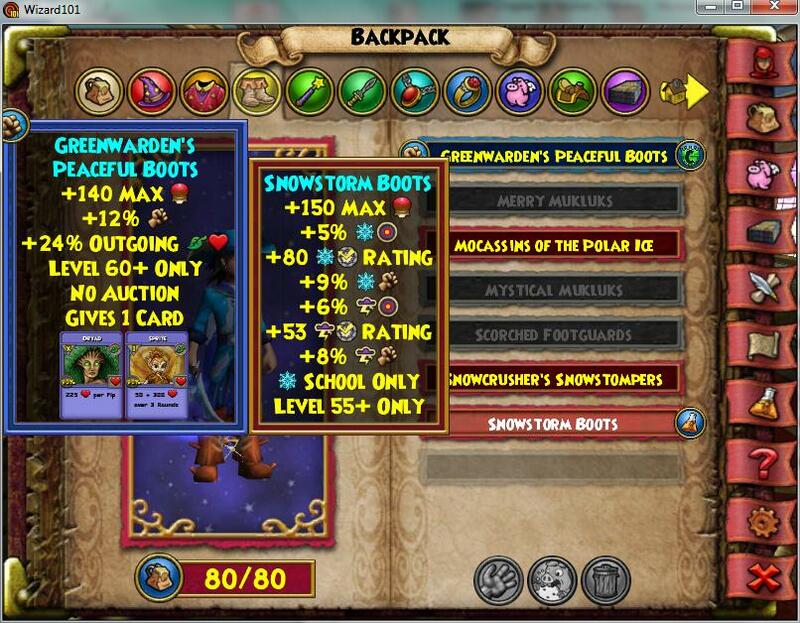 If you don't feel like wasting your crowns, you can just go craft your level 55 boots that give 9 attack plus some attack for your secondary school. I have those also for Ice and Storm. I find it very helpful because if you want to increase your secondary attack, plus have your main attack increased, I suggest you get those. 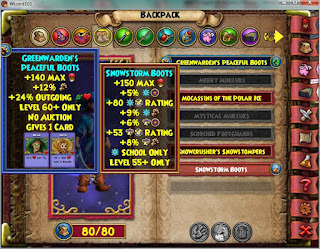 Note - You need to be a Grandmaster Artisan to craft the boots. So as you know from above, Ice has very high health so it is good at taking hits but when it comes to attacks, Ice has some difficulty. With disregard to the new Woolly Mammoth, Ice has to organize their deck strategically to be able to shield and attack at the same time. Now before I discuss a good deck strategy, let me show you my deck. 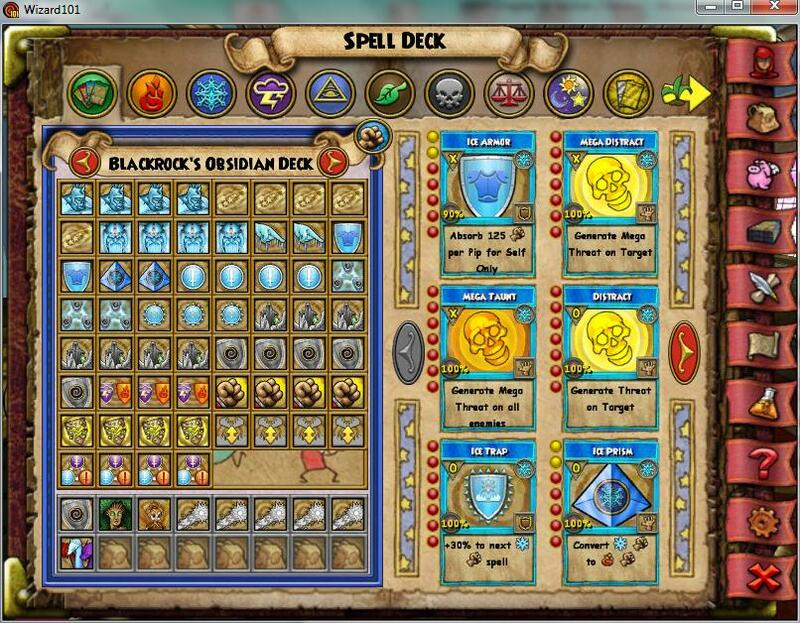 Note this is a PvP, Questing, and Battling deck so you don't need a separate deck for each. Now for your side deck, it's good to have at least 5 wand cards, your amulet card(s) and if you have a pet or outfit card it is good to have. That's just my deck; you can assemble yours however you want but here is what I think a good deck should have. Amazing post! I'm a level 37 thaumaturge and this will help me a lot in the long run. Because of this guide I started an ice. So far, level 17 and rising!